When you flip the calendar to March each season, you're either entering your final weekend of the season or you've already been done for a couple of weeks. Up next is a chaotic, stressful, and often times, even busier-than-usual hockey schedule. And I'm not talking about the kids...it's the parents that feel the brunt of it. I mean, every hockey household with multiple players knows it's tough to be in two different rinks at the same time but somehow we make it work. We're all awesome like that. Sadly, I can't recall the last time that my wife and I were even in the same state as one another for more than 12 consecutive hours on a weekend. 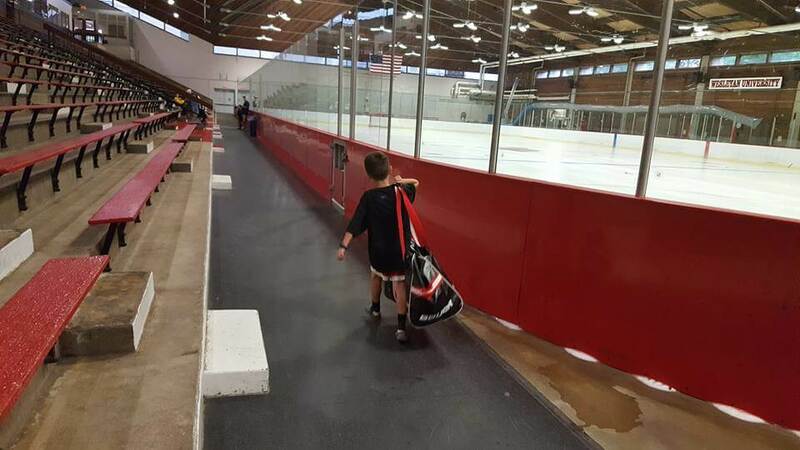 That's travel hockey. Am I right? But when it's a single player slated to be in two places at once, it doesn't work. Due to that overlap, realistically, we weren't going to tryout for all of those teams I have penciled in anyway...but they're all on the table right now. And though it's not usually necessary to attend all of the tryout sessions with any given team -- realistically, you can tell how talented a kid is within 45 seconds and sometimes before they even lace their skates too -- it almost seems like some of the teams purposely put their tryouts on the same nights and at the same times so as to limit the chances that their current players are even tempted to browse elsewhere. You have to figure, most teams beyond the U10 level really only have a couple roster spots open for debate, right? 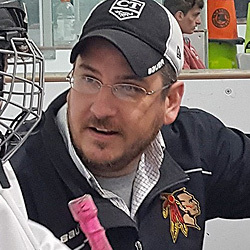 In fact, if I were to register both kids playing this season for the tryouts they attended a couple of years ago...I'd be shelling out just shy of $1k over a two-week span. That's not going to happen, that's a hard no, so I've forced myself to narrow it down to two, maybe three teams -- a back-up plan and a last resort plan...just like I preach. And if your son or daughter isn't playing at the highest level of hockey in your area -- give one of those teams a go! You never know -- do NOT be intimidated. Truth be told, though, as of now, I'll only sign up officially for one tryout per kid -- with the team my kids currently play for as a sign of good faith. As I did last season, I'm taking a slightly different approach with my two oldest again this year. In the past, I've written about how we've been known to practice with rival teams on our off nights (invited, of course) in our area this time of year. 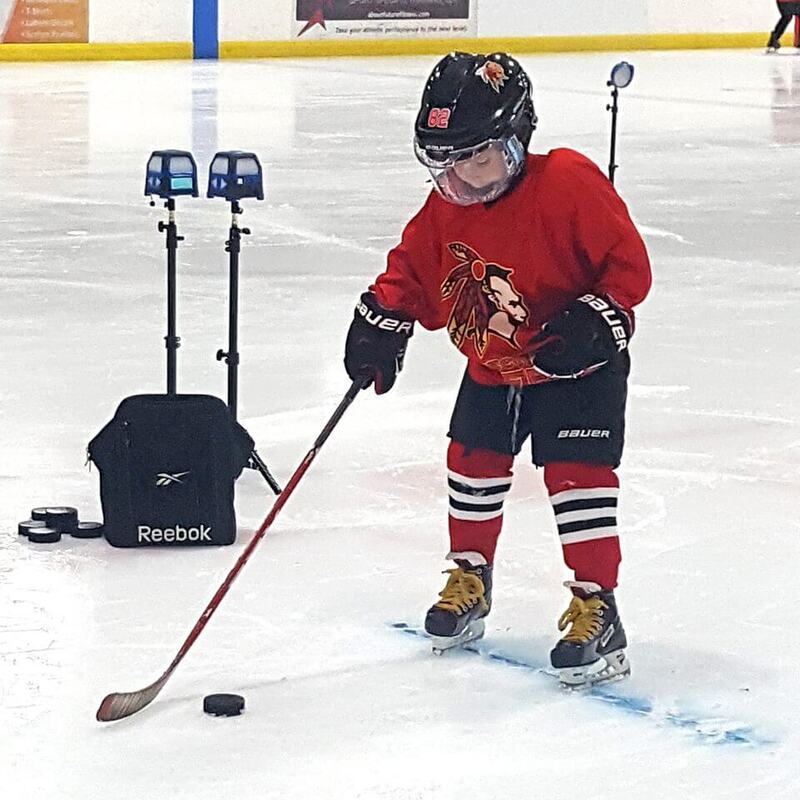 We've also been taking advantage of any programs offering free skills sessions or teams that host those "invite a friend" practices -- which, if you haven't noticed, are nothing more than recruiting events. That aside, what's the best kind of ice around? Yeah, FREE ice. I almost never decline free ice time. You shouldn't either. I mean, what a deal, right? Anyway, both are a great way to get your player's name "out there". And hockey circles are small -- which is also to your advantage. Just this week -- the last week of January -- I've purposely dodged a couple of incoming phone calls from one program trying to recruit Henrik and also received a totally unsolicited (and unexpected) team practice invitation for Duncan from a program we've never even touched base with. And I don't mention any of this to toot my own horn. Really, I'll be the first to tell you that none of my 3 kids are superstars out on the ice. They're not...but at the same time, within a 60-mile radius, they're not "unknown" players either because we do our best to participate in all of the free opportunities presented to us. Point is -- whether you have any intention of switching programs or not, it's in your own best interest to get your player's name out there. Sign up for stuff. Inquire about open practices with area teams. Like their Facebook pages. Keep in touch with former teammates that play elsewhere now. Talk to parents on the opposing teams you play. It will open up opportunities to your player(s) both now and down the road. All of this said, I'd venture to say that, once again, before this current season is even over, at least one of my kids will already have a few contract offers extended to them for next season...nearly a full month ahead of the "official" tryout season...and without paying a dime in tryout fees. Again, they're not super stars. So, my advice? Do as much as you can for free and don't go crazy during tryout season. It shocks me when I see families trying out for 5 or six teams when, at the end of it all, you can only play for one of them next season. Hockey's expensive. Don't make it expensiver.